I've been experimenting with smoothies lately and I found a great one from Prevention Magazine that came out great! Green smoothies may look or sound weird but they can be amazing if you find the right fruit / veggie combination. This smoothie tastes like delicious fruit, only we're hiding the healthy greens to get plenty of healthy antioxidants, vitamins and minerals you need to get through the day. This one's great for the entire family, as a meal replacement or just a healthy pick me up! Green smoothies benefit skin, hair and nails as well as our internal health, cleaning your cells at the cellular level. Green smoothies also cleanse your body of toxins and can help you loose weight, clear up your skin and make you feel so much better. Alkalizing foods, such as fruits, vegetables are not only nutrient packed and inherently healthful, but alkaline-promoting foods which are thought to help prevent kidney stones, keep bones and muscles strong, improve heart health and brain function, and lower our risk for chronic diseases such as cancer and diabetes. Here are some of the ingredient benefits in our health green smoothies. Avocadoes really hydrate your skin and help to bring back that glow. Mangos contain carotenoids that help our skin glow as well. Carotenoids help bring a beautiful rosy glow to dull skin. Spinach is a superfood that helps remove toxins from our bodies. Note: Buy Organic and Non GMO as much as possible so you get the full benefit of these ingredients. Add ingredients to blender. Blend for 20-30 seconds until smooth the way you like it, add your favorite topping and enjoy! 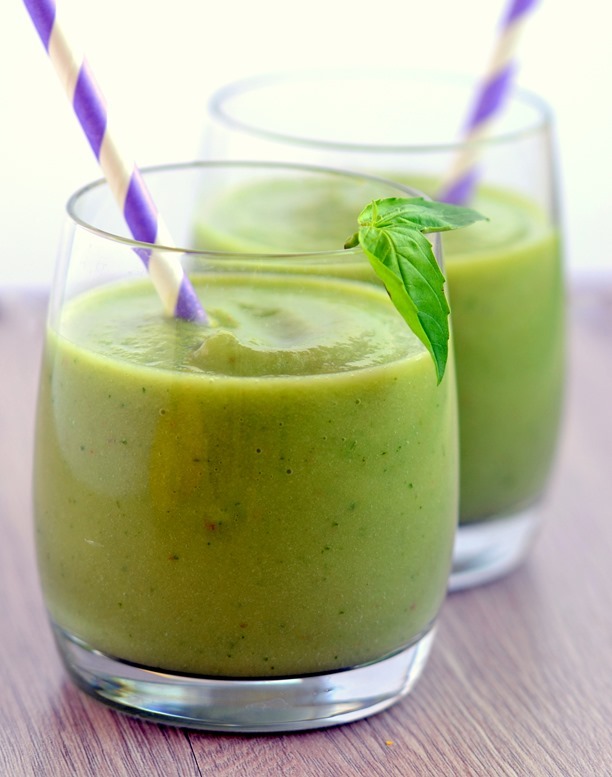 If you're looking for an awesome green smoothie - try this one! If you don't like one or two ingredients, replace them with something you do like. I love smoothies especially for summer. When you add frozen fruit, their so refreshing! You can change it up and add more or less fruit and veggies and toppings to make it your favorite green smoothie. Want more smoothie recipe ideas? Check out The Green Smoothie Recipe Book. With over 100 Healthy Green Smoothie recipes to look and feel amazing! Wow! 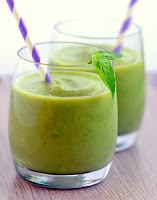 I love green smoothies and this one is a must-try! I love the idea of eating healthy and getting the right nutrients to recharge my body. Mixing banana, avocado and mango with coconut water is very intriguing. Gotta try this. Thanks for sharing!